Managing surface water is a significant issue Northeast Ohio communities face, and the State of Ohio requires properties with detention or retention pond basins to conduct an engineering report on an annual basis. 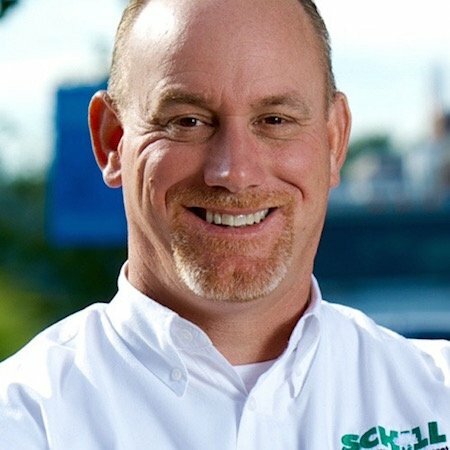 Fortunately, here at Schill Grounds Management we service many properties with water features and know all about what it takes to pass inspection. Essentially, the state is holding commercial property owners like you accountable for stormwater drainage, and that means arranging (and paying for) the inspection, and managing any follow-up maintenance flagged on the inspection report. The big take-away here: Do not slack on detention and retention pond maintenance, because regulatory bodies want verification that your basin is operating properly. What happens when retention and detention ponds are neglected? 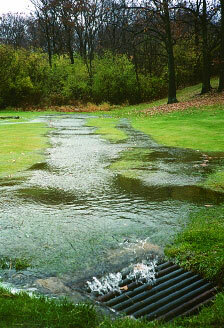 Given the near-record rainfall in June and ongoing precipitation in July, stormwater runoff is an issue. 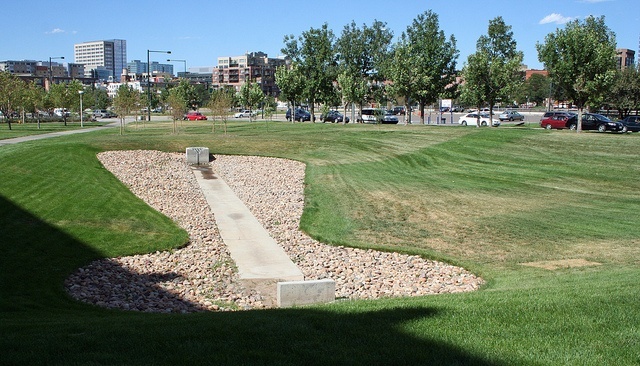 Many commercial properties may have downspouts and parking lot drains tied into retention and detention ponds. If those basins get backed up, water will not properly exit surfaces causing pooling—and in worst case scenarios, you can get water backup in buildings. Engineering firms that conduct inspection reports are looking for erosion, stress on soil embankments, debris or vegetation that blocks waterflow, proper rip-rap, sediment and debris buildup, and the condition of headwalls. You can pass a retention and detention pond inspection if you pay attention to those key areas of your commercial property’s basin. Let’s talk more about these maintenance red flags and what maintenance steps can keep your retention or detention pond in inspection-ready condition. The embankments of retention and detention ponds are naturally going to erode because of the way these structures work. They’re designed to catch water, which flows from the surface into the basin. Water flow takes a toll on the ground over time. So does mowing in the same pattern, which is necessary because we always make horizontal passes with mowers on slopes for safety reasons. When erosion occurs, soil and sediment can wash into the basin, compromise the integrity of the embankment and impact the water quality. The Fix: Balding embankments may require reseeding, which is ideally done in spring or fall. Rock may be added to bolster areas where erosion is a real problem. The point is to keep soil in its place, whether by planting vegetation or installing rock beds that slow the flow of surface water. The moist environment surrounding retention and detention ponds is ripe ground for invasive vegetation. Grasses and weeds just grow faster, and it can block inlets and outlets that must remain unobstructed to ensure proper water flow into basins. This vegetation can trap debris, which also naturally tends to collect near these inflow/outflow areas because it gets trapped. The Fix: Ongoing maintenance that includes trimming back weeds and tall grasses that block pipes will keep inlets and outlets working effectively. Debris should be removed. Watch for it regularly rather than allowing the inspector to find a reason to mark the “yes” box for requiring corrective action. 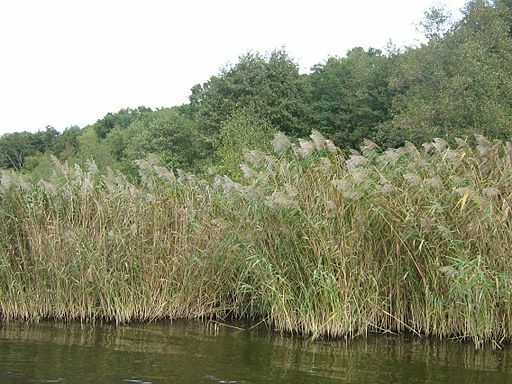 Phragmite is a big word in retention and detention pond maintenance. This invasive water-loving weed can grow like mad. (Same goes for cattails, actually.) The problem is, these invasive species can crowd out other vegetation including grass that is designed to stop erosion. And, excess vegetation taking over pond embankments does not look attractive. The Fix: Timing is everything when managing cattails and phragmites. If you cut them back during their growing season—which is spring through summer—then they’ll grow back fast and strong. Ideally, this vegetation management should be taken care of in winter. Groundhogs burrow into the ground and disrupt the surface near inlet and outlet pipes, along embankments and behind headwalls of retention and detention ponds. When these critters set up shop near your commercial property’s basin, they damage the ground. Then, erosion and sediment run-off can become a problem. Rodents can be trouble-makers, too. They create holes that compromise the integrity of embankments. Meanwhile, wasps, hornets and bees can interfere with maintenance activities. The Fix: A critter control specialist (some pest control firms offer this service) might be necessary, but as far as fixing the damage, holes burrowed by groundhogs and rodents should be filled with rock, topdressed with soil and reseeded. As with the maintenance of any part of your commercial landscape, when you constantly monitor and manage retention and detention pond vegetation, debris and blockages, you can avoid corrective action on an inspection report and keep maintenance costs in line. An experienced commercial landscape contractor will look for inspection issues throughout the year so you can address any erosion, backup, vegetation or general upkeep issues before they get serious. Let’s talk more about how you can pass inspection and keep maintenance within budget. Call us any time at 440.327.3030, or fill out this simple contact form and we’ll get in touch with you.